Situated in one of the most desirable areas of our beautiful city, centred between the CBD and Bondi Beach, the friendly Paddington neighbourhood has a wonderfully unique offering of bar, dining and shopping experiences to suit all occasions for our guests. We are very proud to be included in the 2018 “52 Weekends Away” reproduced below! THE PLACE This hotel, in a former bank building, opened last year. The 27 standard rooms are compact but smartly decorated, with comfortable beds and rainfall showers. As well, a larger room and two elegantly furnished suites with high, pressed-metal ceilings have been created from the bank manager’s residence. The impression is of style, energy and attention to detail. THE EXPERIENCE There’s a sense of generosity. The continental breakfast is free, for instance, as is the Wi-Fi, while the Molton Brown toiletries in the bathroom are eminently snaffle-able. But the staff set the tone. Friendly without being overbearing, they make paying customers feel like guests. DON’T MISS On Saturday mornings, Paddington Markets swing into action and cafes fill with skinny soy latte sippers reading newspaper real-estate liftouts. A short stroll up the road is beautiful Centennial Park, where well-toned ladies in expensive exercise gear walk designer dogs. Bondi Beach is a five-kilometre bus ride away. IDEAL FOR People seeking adventure within the city limits. Originally built in 1914 as a bank, the hotel has gone through quite the transformation, yet still retains its heritage. 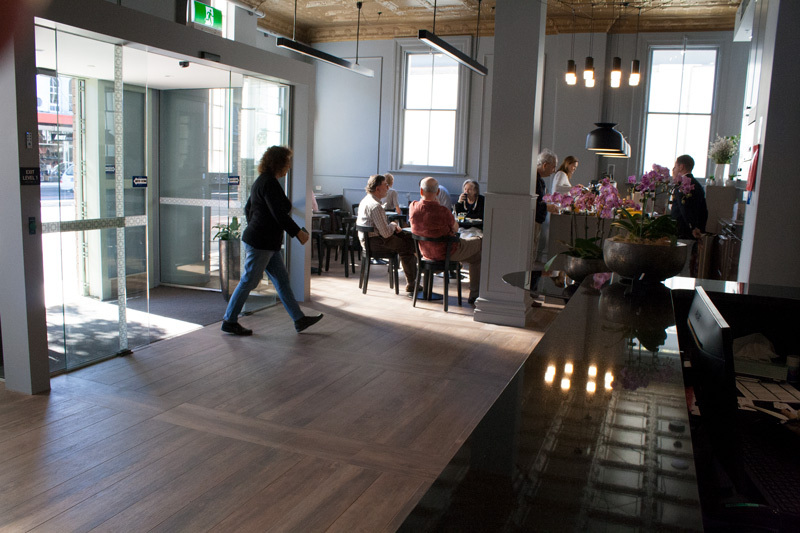 Cafés, bars, shops and restaurants surround Paddington’s Mrs Banks and all the rooms have air-conditioning, Nespresso coffee machines, rain showers, smart TV’s and free Wi-Fi. As an added bonus, breakfast is included. Yes! 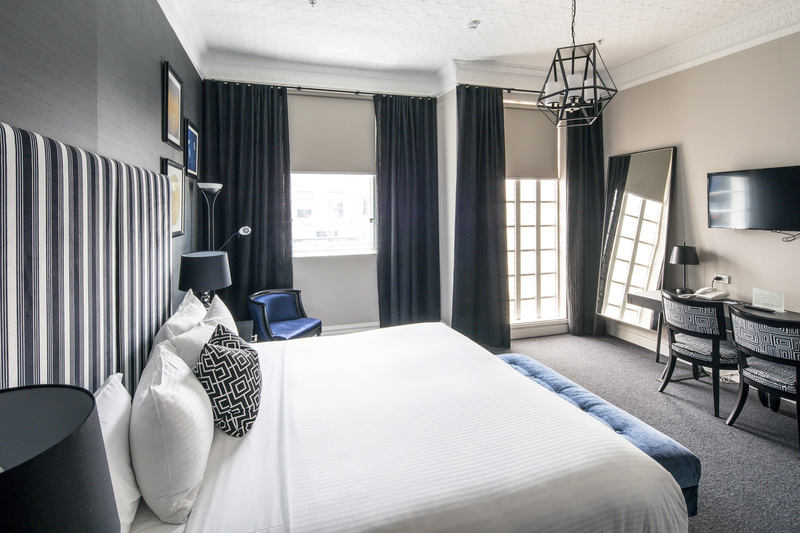 Sitting between the city and the sea, Paddington is the perfect base – Mrs Banks is our pick for a stylish place to rest your head. Built in 1914, the building was once a bank. Now, it’s a hotel that doubles as an interior designer’s dream. It hints at its heritage, with soaring metal ceilings, mid-century furnishings and king-size beds. WiFi is free, as is breakfast.